Spring time means a lot of of great things in the Real Estate world --- fresh new listings, patio season, excited buyers, and more! 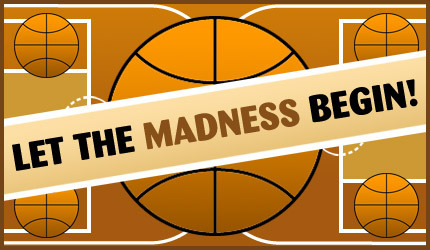 But aside from Real Estate, the month of March brings with it one of our favorite events of the year: MARCH MADNESS! Urban Housefitters has created a league and is inviting anyone and everyone to join in on the fun for FREE! Simply follow the link below for your chance to win one of our tiered prizes. Everyone is welcome to join so send the link along to your friends and see who comes out on top. Shoot us a message with any questions. Hope to see you 'on the court' ! You can't win if you don't play so join up with us and pick your winning bracket! arrow_backTo Buy or to Rent....Hmmm? !